*Disclosures. Sales Price includes closing fee of $399, all dealer cash, factory incentives and or factory rebates where applicable in lieu of special factory financing or leasing programs. Must finance with VW Credit to qualify for some incentives. 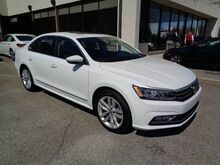 This offer applies to well-qualified buyers and requires approved credit and financing through VW Credit. May not be combined with certain other offers. Excludes factory freight charges as well as tax, tag, registration, title and dealer installed accessories. Must complete retail sale and take delivery on or before 05-31-2017.